Giant turtle or new age cathedral? Neither. As soon as I saw the photo of the new bamboo yoga shala at the Four Seasons Sayan Bali, I knew I had to go there. To me, this fantasy structure was yet another enticing vision of the enchanting things that always lure me back to Bali. Located in scenic Ubud, Bali’s arts and spiritual town, the Dharma Shanti Yoga Bale is part of The Four Seasons Sayan’s wellness offerings. An eco-structure created entirely of sustainable local bamboo, it’s the setting for funky Anti-Gravity yoga classes, meditation classes, life coaching sessions, events, or can be a simple quiet space to relax and contemplate the tranquil beauty while inhaling deep gusts of clean green oxygen. There are two Four Seasons resorts on the island – a beachside property located south in Jimbaran Bay, and this inland Ubud property nestled in the Sayan Valley on the banks of the sacred Ayung River gorge. Here, the architecture is carefully designed to blend seamlessly into the terraced landscape. The location’s romantic seclusion tends to conjure thoughts of perfect weddings and honeymoons, so you might expect the spa offerings to emphasize pampering and beauty. But open the spa menu and you’ll find comprehensive wellness and spiritual programs that are unique to this property. My first morning there, I eagerly left my gorgeous pool villa and walked past the resort’s well-tended rice paddies and vegetable gardens, excited to experience my first ever Anti-Gravity Yoga class. I was the only person in the class, which made it my own private session. The teacher said we would start with the warm up poses and move on to the harder ones. Nervously gripping the stretchy hammocks suspended from bamboo rods, I was at first afraid to trust the strips of cloth and let myself flip backwards and upside down, but with the firm guidance of the yoga teacher I found that it was easy, and most importantly that what he said was true- hanging upside down lets you stretch your spine naturally without putting weight on it. This is me hanging among the rice paddies. This is incredibly relaxing. I could stay like this forever! It was incredibly soothing. My mind felt so calm, and my back felt so relaxed. It felt like I was floating on air, which I was. I wanted to stay upside down forever. Maybe even take a nap like that. That’s NOT my big tummy hanging out! It’s just my T-shirt being pulled down by gravity. The rest of the body is straight. That’s the core muscles doing all the work! But we had to move onto the next and increasingly harder poses, like suspending myself horizontally, mission impossible-style, which involved lots of core muscle control. Hey yogis – if you’re diligent with your Bow and Plank asanas, this should be no problem for you. The teacher said I did well and I left Anti-Gravity Yoga feeling more accomplished, energized and ready for breakfast on the terrace overlooking the river. I was scheduled to do the Rice Bowl Journey, a signature experience showcasing the resort’s design concept, architecture and landscape. The lobby area is just below the giant rooftop lotus pond. This is where you check-in. My guide explained that the design reflects the natural environment of the Sayan river valley. We walked through the resort’s rice paddies, and entered a hidden metal doorway to cross a secret, private foot bridge (which had to be unlocked and locked to get in and out) to the opposite side for an energetic jungle trek up the gorge, through thick ferns, wild fruit trees, past a sacred spring, and climbed all the way up to the top of the ridge, where my efficient guide produced perfect chilled white towels and bottles of water from his backpack. Oooooh! Love these thoughtful perfect touches! I have to admit I wasn’t expecting such a vigorous walk and had shown up in a delicate white linen sun dress and rubber flip flops, anticipating a stroll through the grounds, which my guide took one look at, tactfully suggested I’d be more comfortable in more sporty gear, and then quickly and efficiently organized me to change into shorts, t shirt, sneakers and socks supplied by the gym, all in my perfect size, even the size 36 sneakers. Yesssss! One thing that never, ever, fails to me impress me is the incredible level of personal service and attention to details that you always get at every Four Seasons resort. The Rice Bowl Journey ended with a relaxing treatment at the Spa Villa where treatment rooms float above a lotus pond. Four Seasons Resorts’ Spa Director Luisa Anderson, who I’d met in Bangkok years earlier, had recommended me to try the 7 Chakra Ceremonies, which was one of the spa’s signature treatments combining reiki and crystal therapy to heal unbalanced chakras. I was astonished and impressed. My favorite and most beloved dog had unexpectedly died two weeks before my Bali trip, and I was heartbroken and deeply shattered by the loss of my precious, beloved pet. Dwi’s diagnosis was completely accurate. I couldn’t wait to get my heart chakra healed! I really enjoyed soaking in the spa bath at Four Seasons Sayan Spa Villa. Yes these are my legs. Anahata or heart chakra ceremony was 150 minutes of blissful relaxation and renewal. Said to be ideal for anyone seeking emotional balance, this rose-based ritual began with a body scrub and floral bath in the outdoor bathroom, followed by a rose oil body massage and a heart-shaped basti (ayurvedic oil bath) filled with healing damascene rose otto placed over the heart to open the heart and clear out negativity. I fell fast asleep and woke up at the end of the treatment feeling sleepy and relaxed. This is what a heart balancing treatment looks like. Lovely, though I was fast asleep when this was taking place. Another of the resort’s unique wellness offerings are the complimentary Life Talks hosted by resident Wellness Mentor, Ibu Fera, a former Buddhist nun who has studied at monasteries all around Asia. The talks are intended to help guide guests to inner peace, happiness, stress management, and compassion. Again, I was the only person at that day’s session, so it became my personal session. I had no idea what to expect and was curious. I asked Ibu Fera what she was going to talk about, and she said we could talk about anything I wanted. She asked if there was anything troubling me at the moment. I said yes and told her why. I don’t remember exactly what she said, but it was all gentle and soothing and full of Buddhist wisdom and kindness. “My guests often talk about their problems and I listen,” said Ibu Fera, “Sometimes you are mentally or emotionally stressed and just need someone to talk to who is not your friend or relative, who won’t judge you, and who listens with compassion, and then you feel lighter because you were able to let it out. “ It was true. I did leave the session feeling more relieved and lighter than before. Aside from Anti-Gravity Yoga, the Dharma Shanti Yoga Bale offers 16 complimentary yoga and meditation classes each week. There’s daily 7 a.m. class of Sunrise, Power or Laughter Yoga. In the afternoons there are the complimentary Life Talks hosted by Ibu Fera. All this activity meant I wasn’t in my room much. I loved staying in my pool villa, which was located conveniently next to the spa and yoga shala. One of the absolutely brilliant aspects of the resort design is the way guest villas are designed for total privacy. As my guide pointed out during the Rice Bowl tour, you never see any villa buildings or garden walls while walking around the property, which keeps the space open and natural. That’s because the rooms are all cleverly hidden underneath the villa entrances, which are styled as “floating” lotus ponds with the villa rooms and pool tucked underneath, mimicking the structure of the main building. And the villas are huge. Look at this very generous bathroom, which comes with a nice big walk in closet/ dressing room with huge mirror. Did I tell you I love bathrooms? 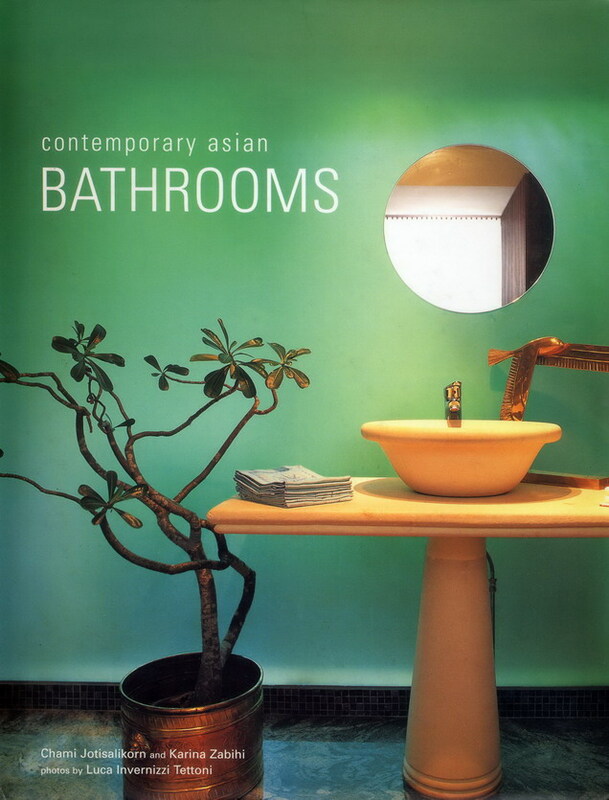 One of my favourite projects was writing and styling my book on contemporary Asian bathroom design. Does it sound wonderful? It really was. Four Seasons Sayan offers 2-3 night Spa Packages for 2 people that include various programs of wellness, spa, fitness, health and healing activities. Visiting practitioners for 2016 are yoga teachers teaching Kundalini, Vinyasa and Iyengar yoga retreats from September through December. 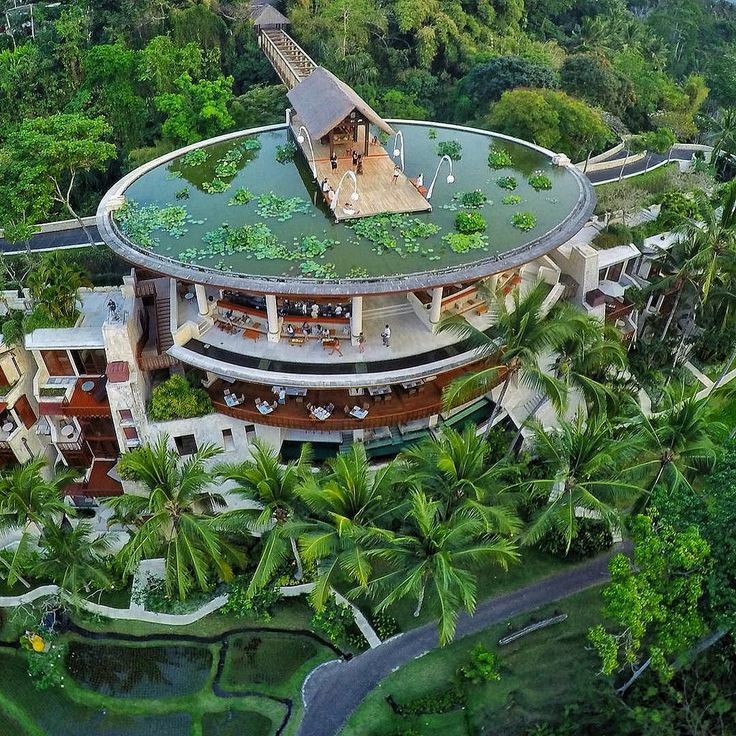 Have you been to the Four Seasons Sayan, Bali? How was your experience there? Looking for more fabulous places to take yourself on a yoga holiday? Find out here.